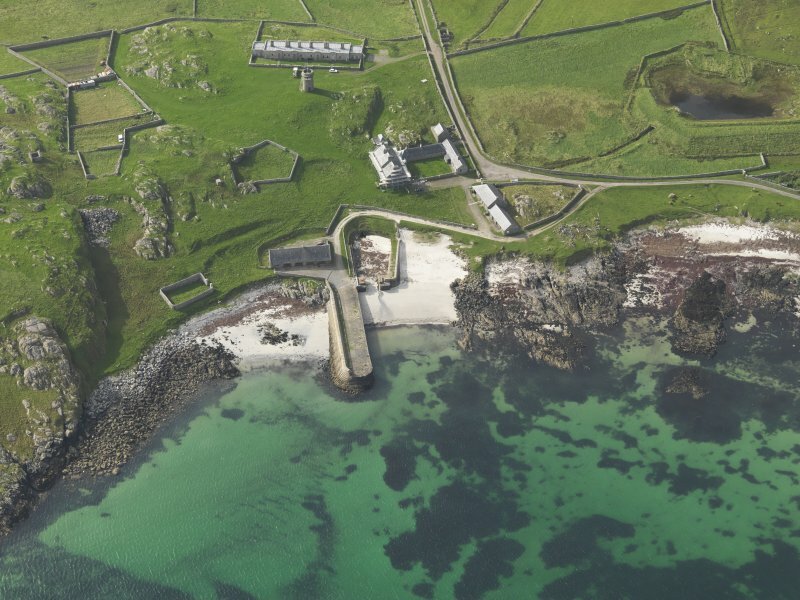 Oblique aerial view of Hynish Lighthouse shore establishment on Tiree, looking WNW. 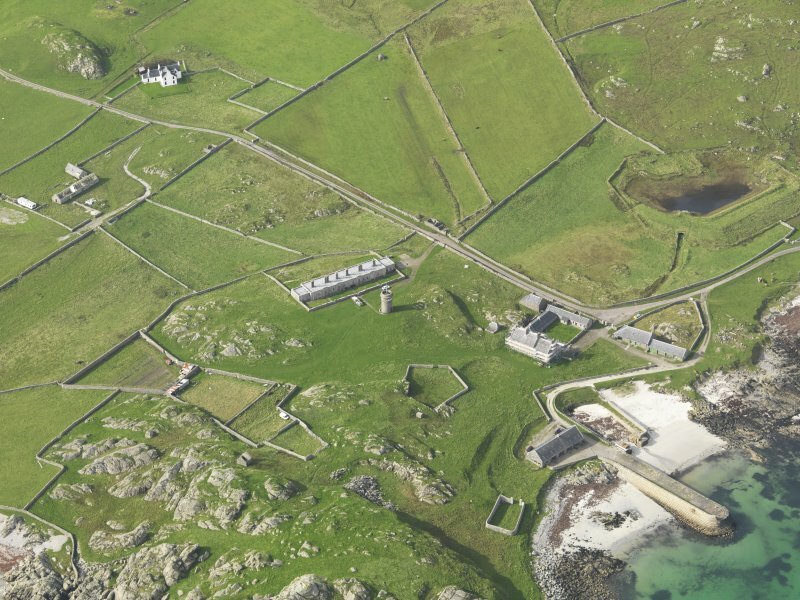 General oblique view centred on Hynish, taken from the SW.
General oblique view centred on Hynish, taken from the ENE. 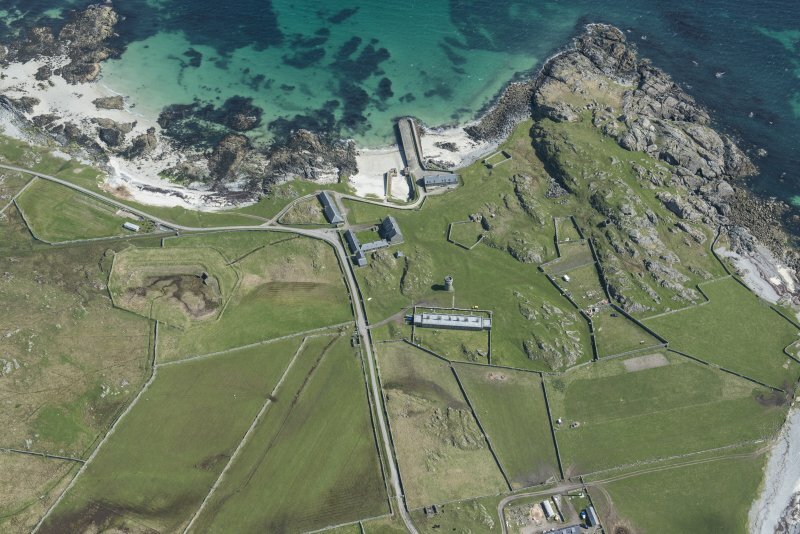 General oblique view centred on Hynish, taken from the ESE. 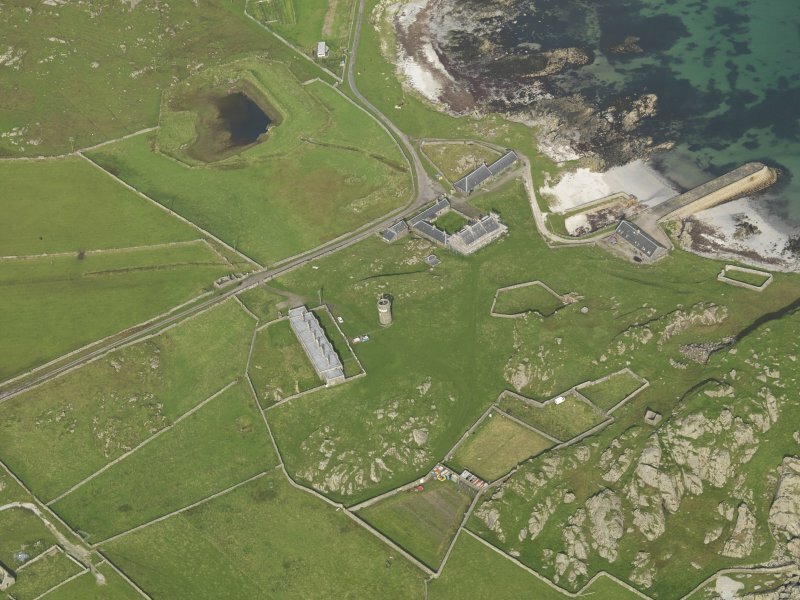 Oblique aerial view of Hynish Lighthouse shore establishment, reservoir and harbour on Tiree, looking NE. 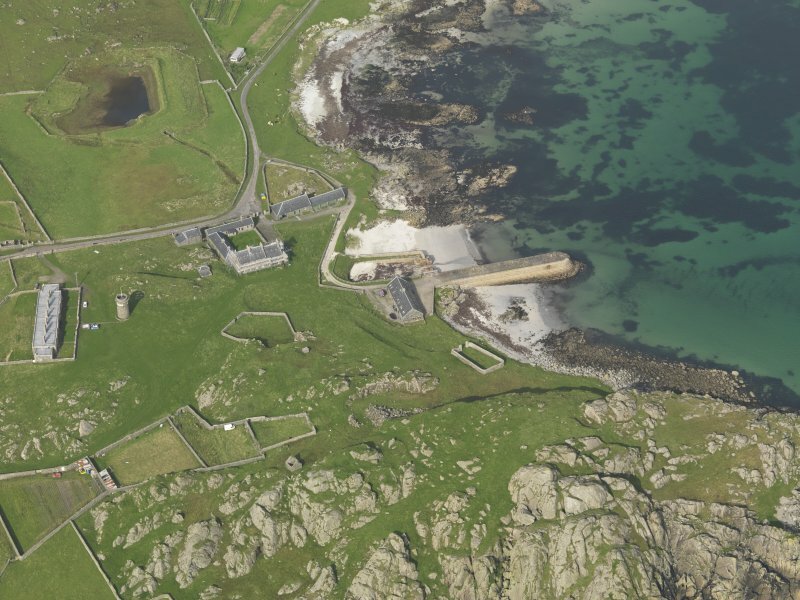 Oblique aerial view of Hynish Lighthouse shore establishment and harbour on Tiree, looking WSW. 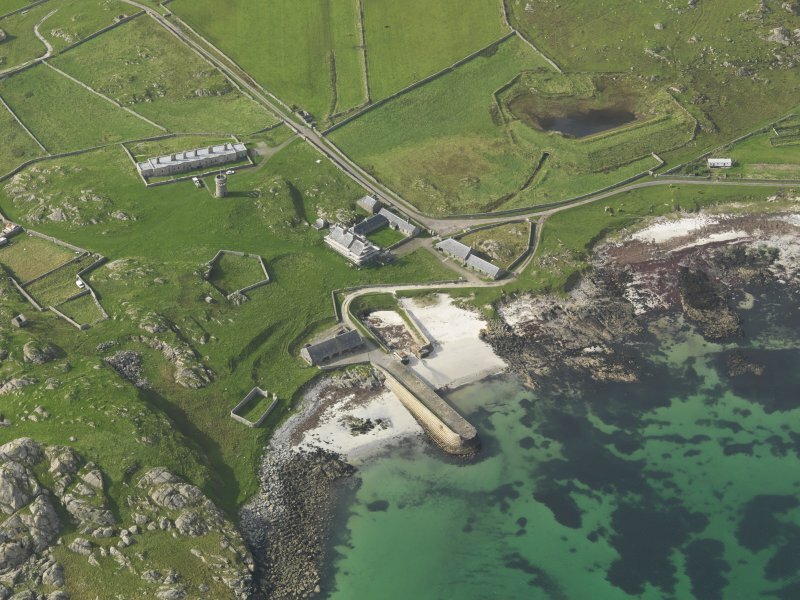 General oblique view centred on Hynish Harbour and Lighthouse, taken from the E.
General oblique view centred on Hynish, taken from the S.
General oblique aerial view of Hynish on Tiree, looking NNE. 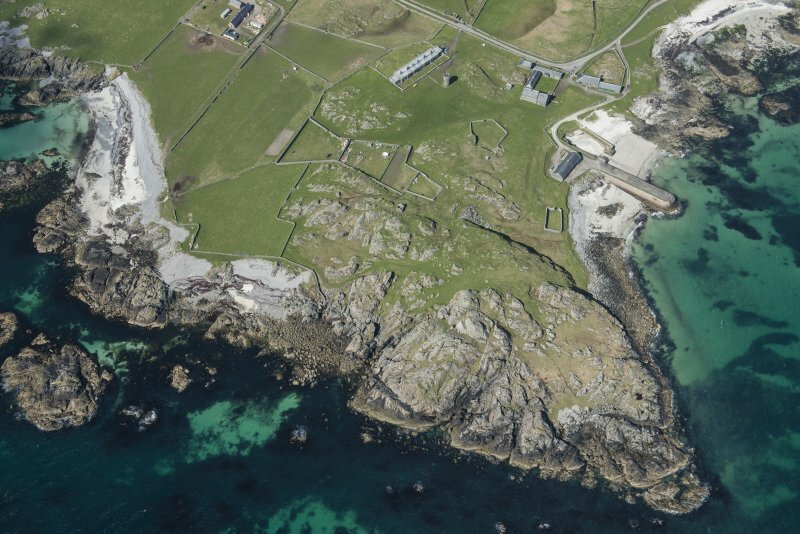 General oblique view centred on Hynish, taken from the SSW. 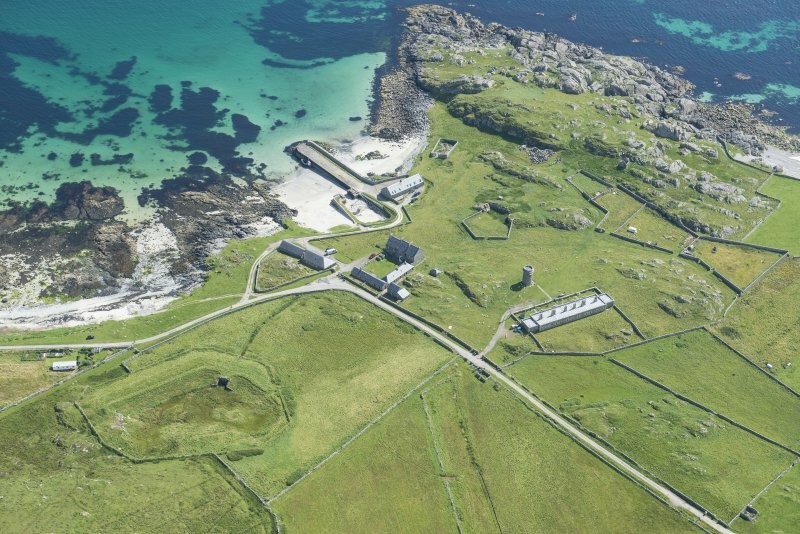 Oblique aerial view of Hynish Lighthouse shore establishment and harbour on Tiree, looking WNW. 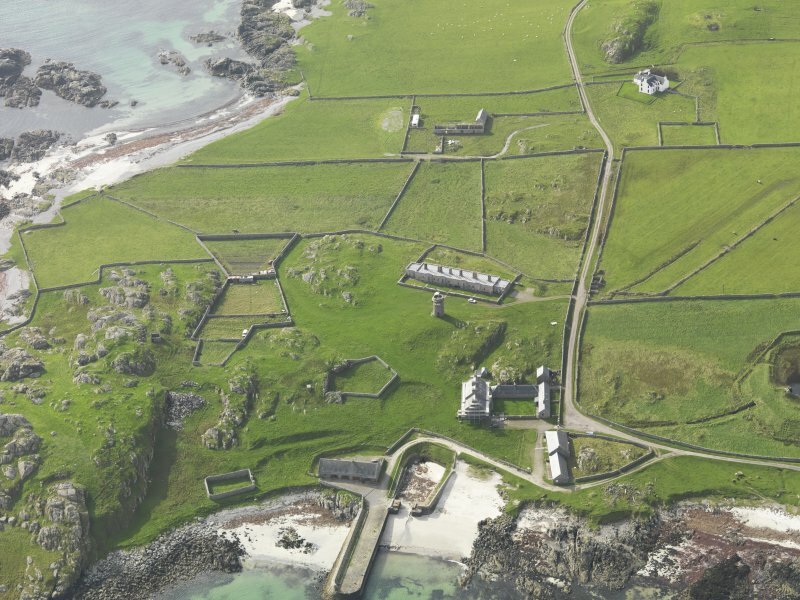 General oblique view centred on Hynish, taken from the NE. 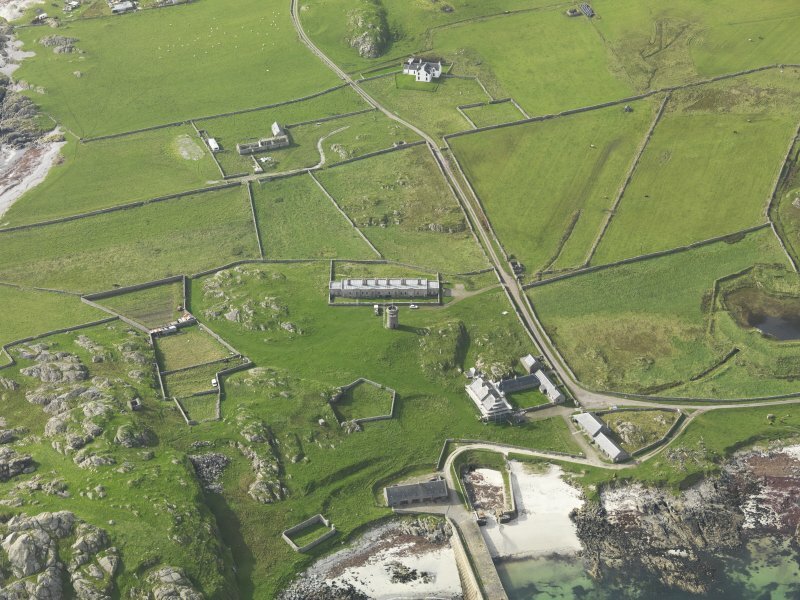 Oblique aerial view centred on Hynish farm steading with Hynish farmhouse adjacent, taken from the SSW. 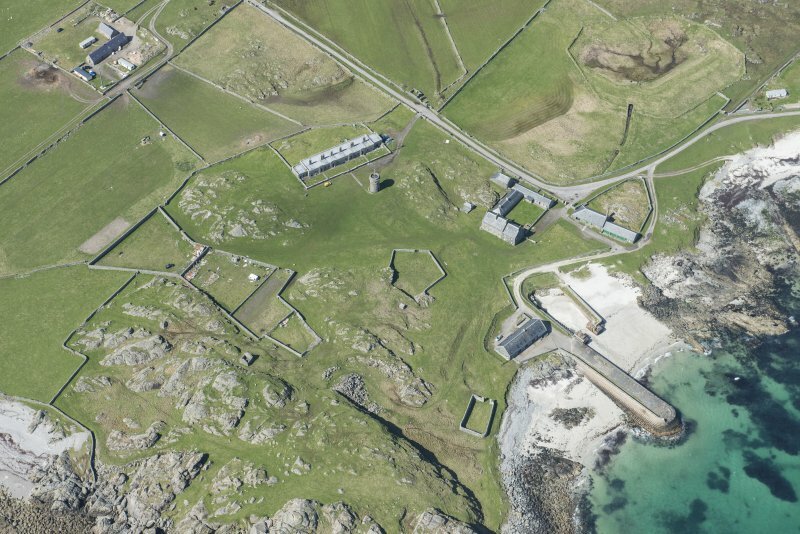 Oblique aerial view of Hynish Lighthouse shore establishment, reservoir and harbour on Tiree, looking ENE. 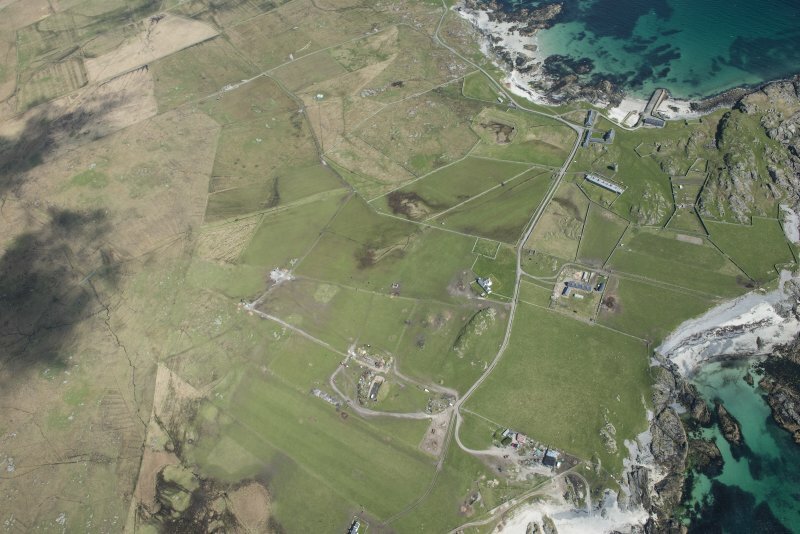 Oblique aerial view of Hynish, Tiree, looking to the WNW. 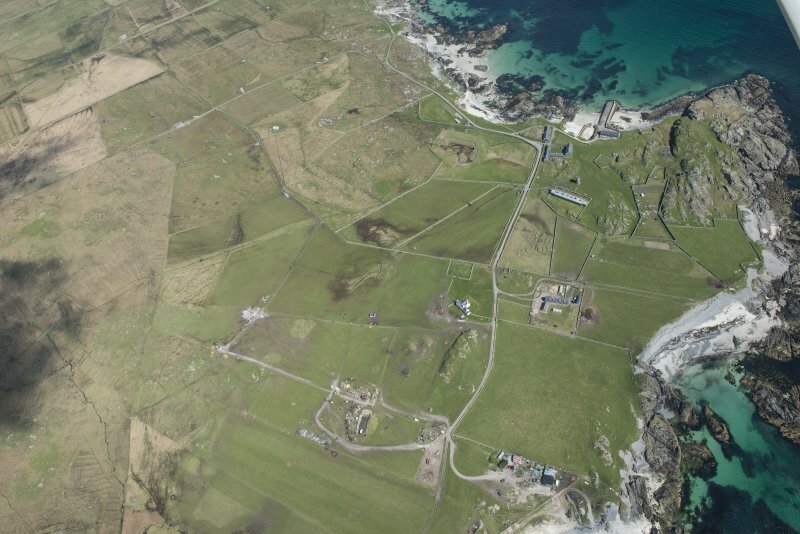 General oblique view centred on Hynish, taken from the E.
Oblique aerial view of Hynish, Tiree, looking to the NNE. 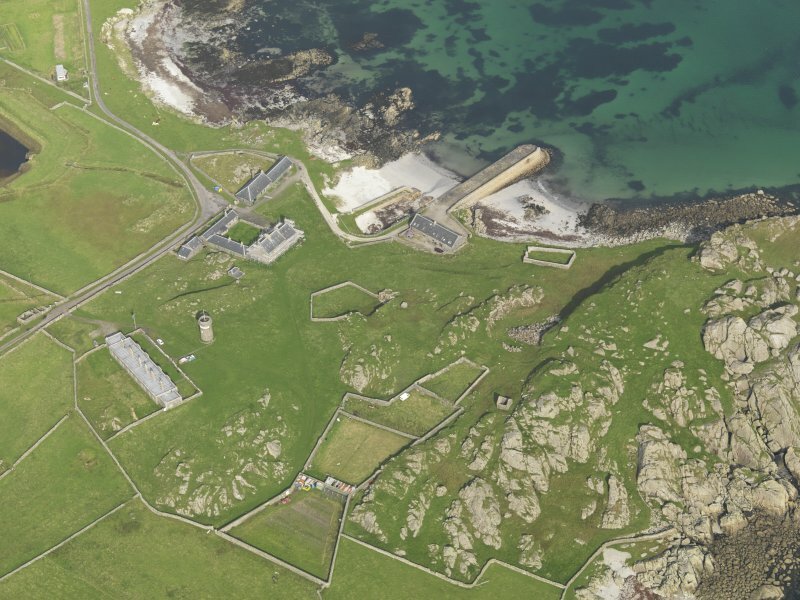 See also Hynish, Lighthouse Establishment (Signal Station), NL93NE 8.00. 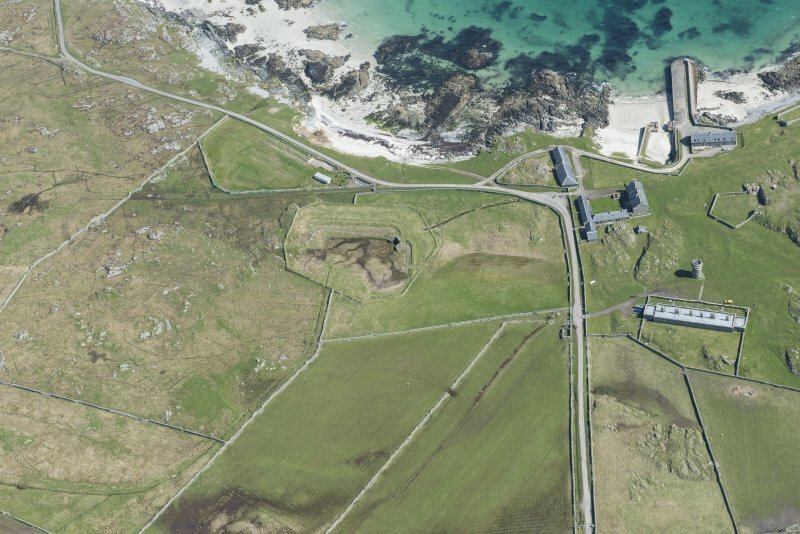 (Location cited as NL 98 39). 1837-43, engineer Alan Stevenson. 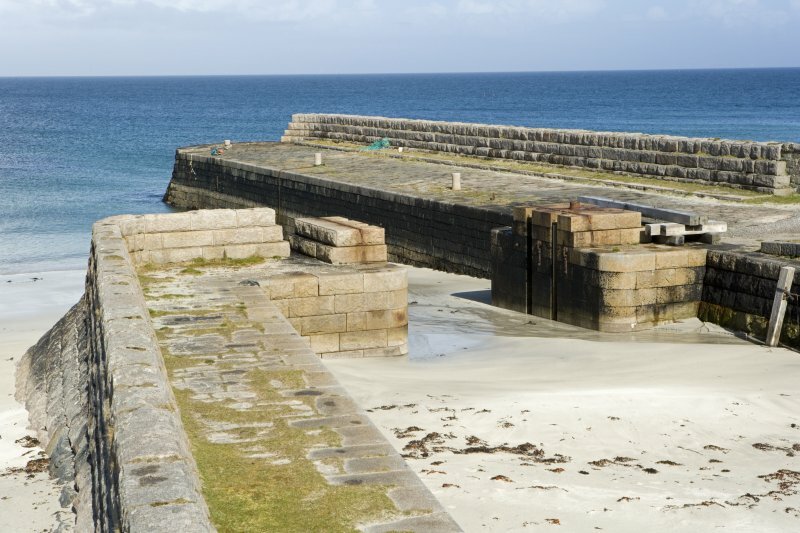 A masonry dock and pier with crane for boom and the remains of a scouring system. 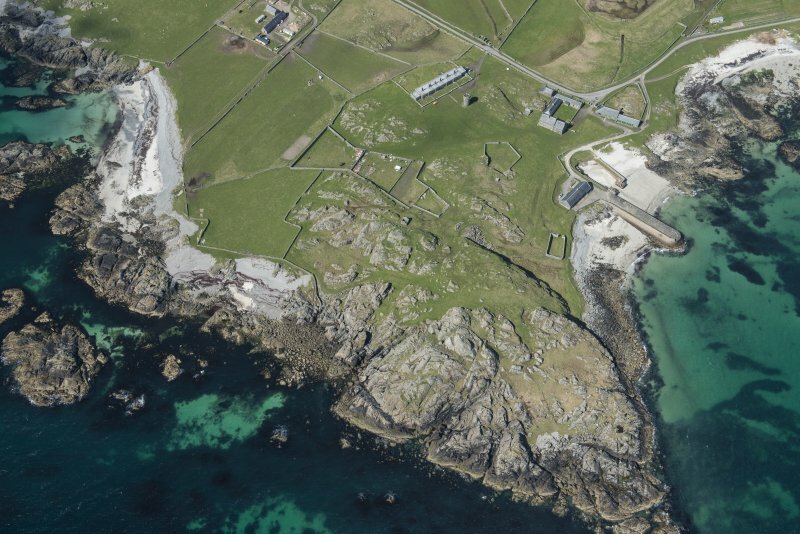 There is a terraced pair of plain 2-storey buildings, designed for workers, a range of 1-storey ancillary buildings, a signal tower (NL93NE 8) about 30 ft (9.3m) high and a 1-storey block of flat-roofed keepers' cottages. 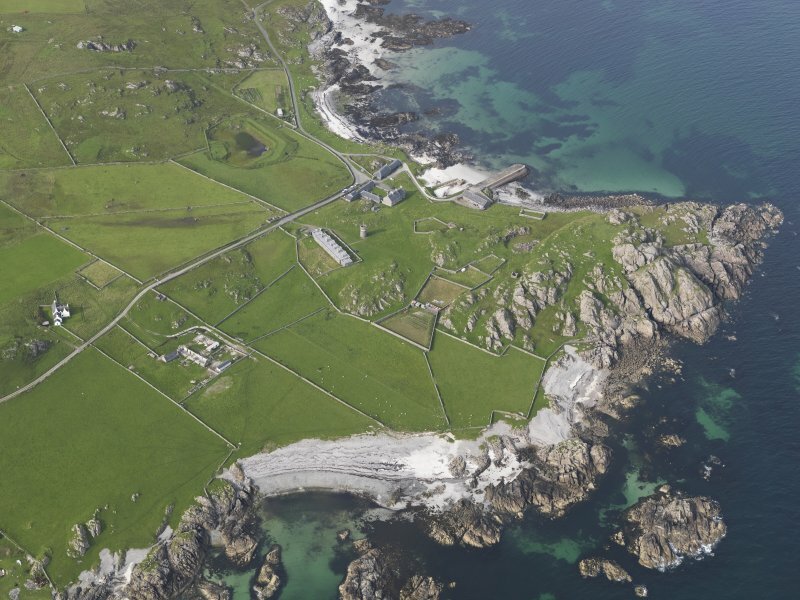 Nearby are quarry-workings associated with the construction of Skerryvore lighthouse (NL82NW 1). 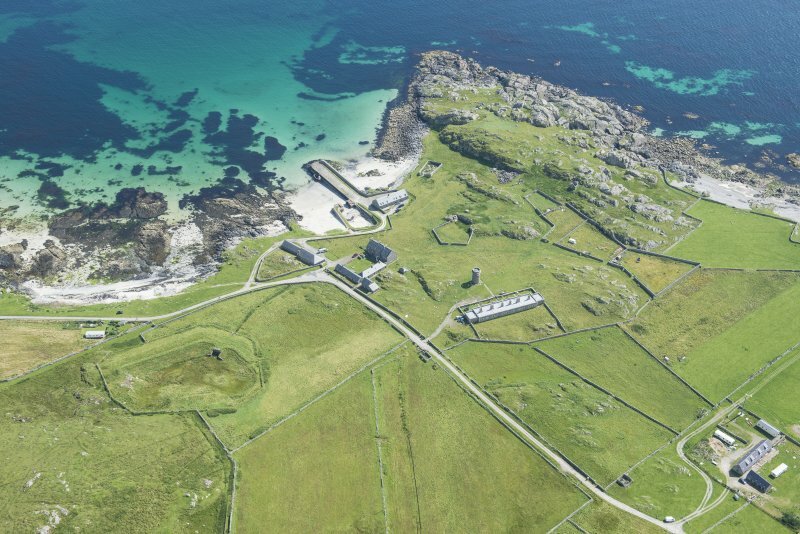 Few visitors will see the magnificent lighthouse of Skerryvore except remotely through binoculars, but the achievement of its construction on a remote windand sea-swept reef has an important place in lighthouse history. 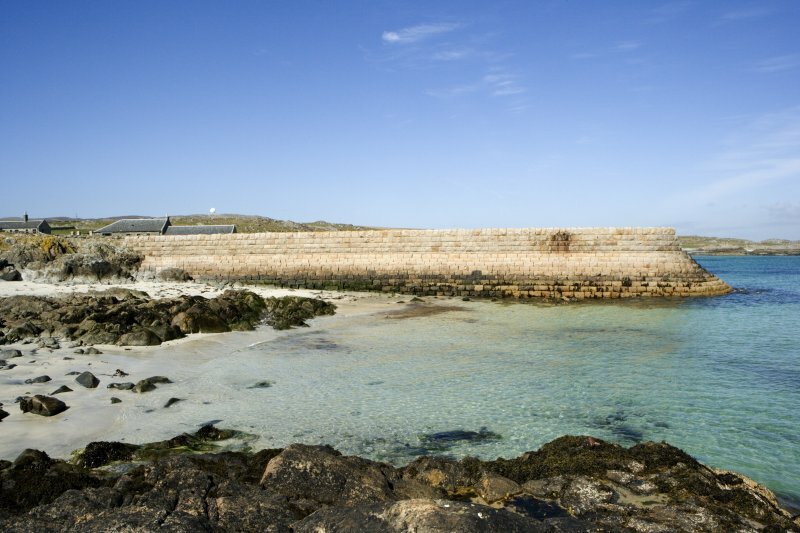 When Sir Waiter Scott visited the reefin 1814 in the company of Robert Stevenson, he described a 'long ridge of rocks (chiefly under water), on which the tide breaks in a most tremendous style'. 'Our rowers, however, get the boat into a quiet creek between two rocks where we contrive to land well wetted.' 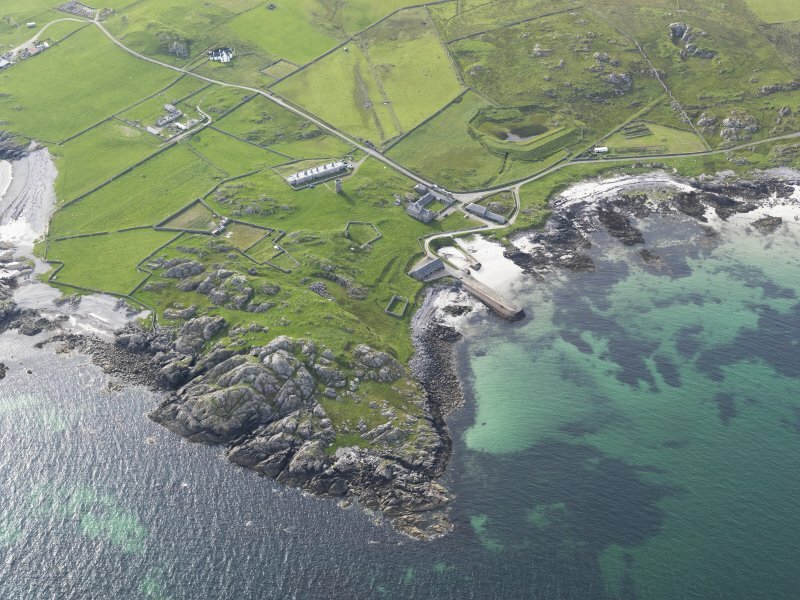 Such were the problems of the situation that it was not until 1834 and 1835 that the survey of the reef was undertaken. 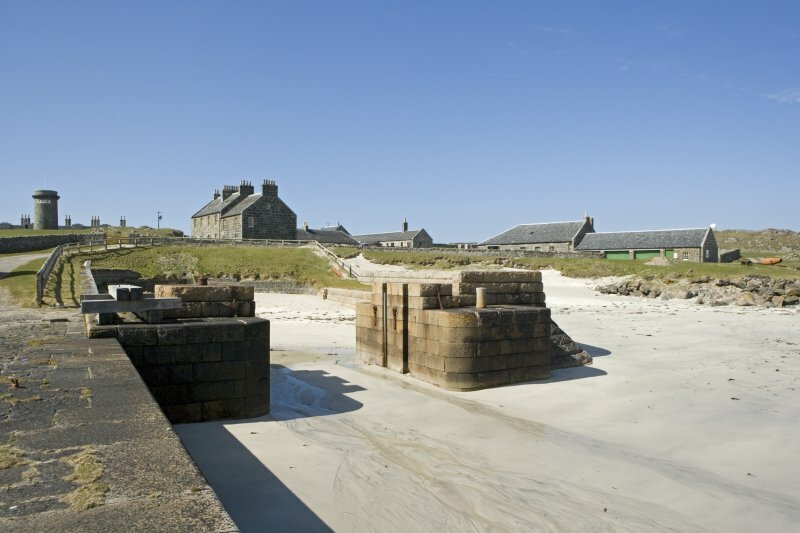 The hardships of the various seasons of work on the rock with the wind whistling and the waves foaming round are a constant feature of Stevenson's account of the building. 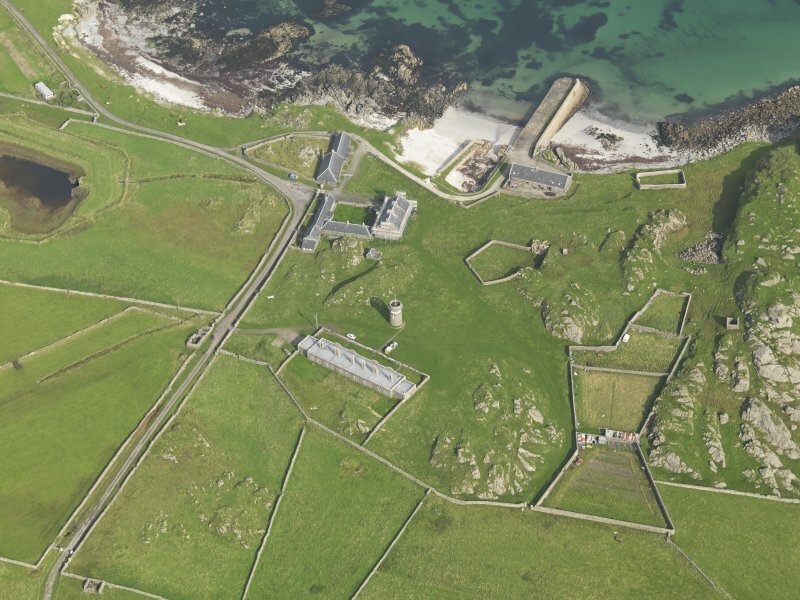 The foundation pit for such a massive tower took twenty men over two hundred days! The tower is 42m in height rising in a gentle curve from a basal diameter of 12.8m, and first showed its light on 1 February 1844. 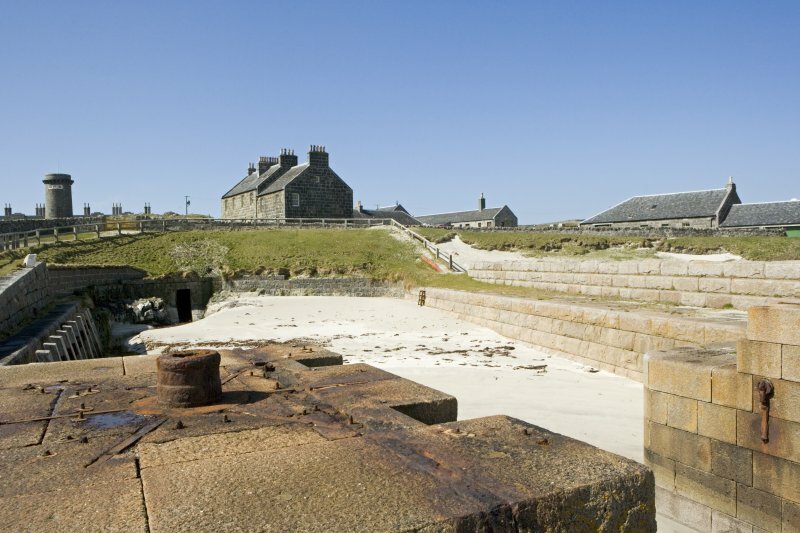 If the lighthouse itself remains a distant pencil on the horizon, the shore establishment and harbour, from which workmen and stone were shipped out to the reef can still be seen. 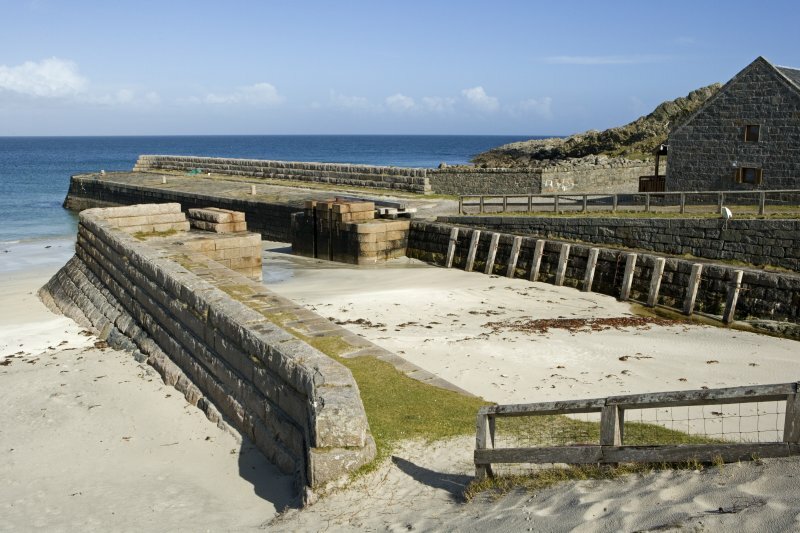 Here each stone was carefully prepared and shaped for its special position within the structure. 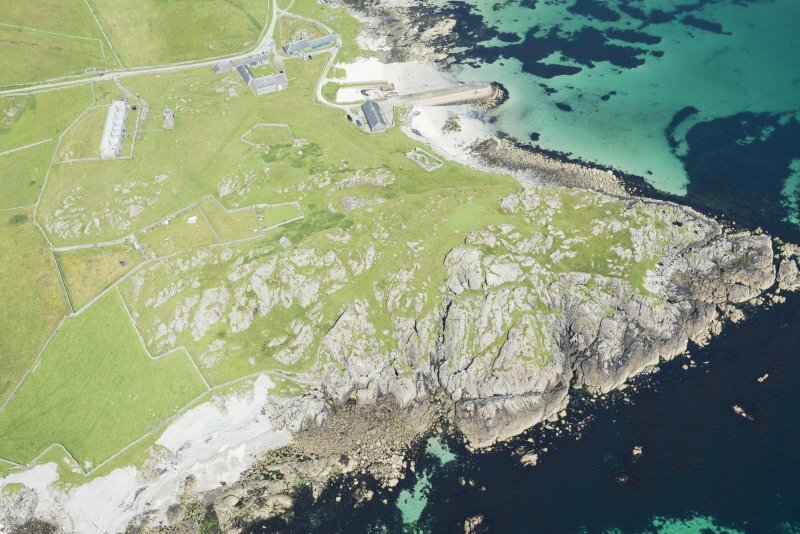 It had been entended to use local stone, a hard gneiss, but this proved difficult to work and, although the bottom three courses of the tower are of Hynish stone, the remainder are of Ross of Mull granite. 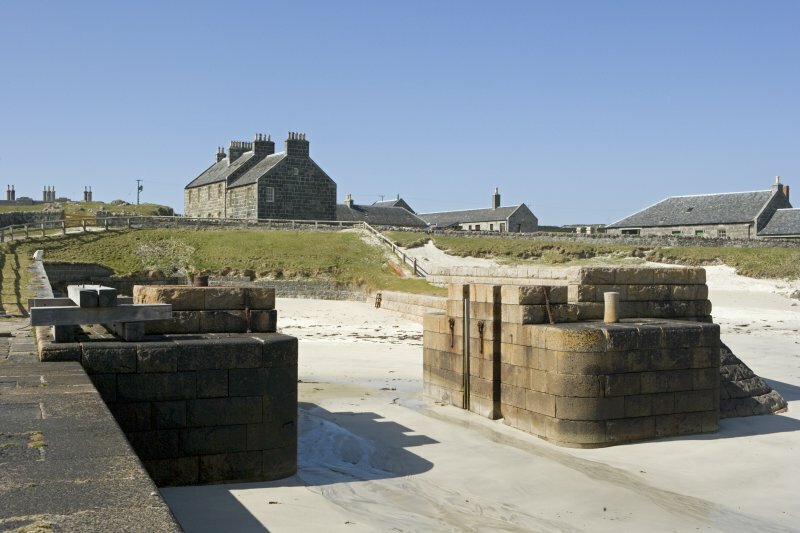 The well-built pier, dock, storehouses and shorebarracks for the masons and seamen still survive, as well as a signal-tower and a row of lightkeepers' houses. 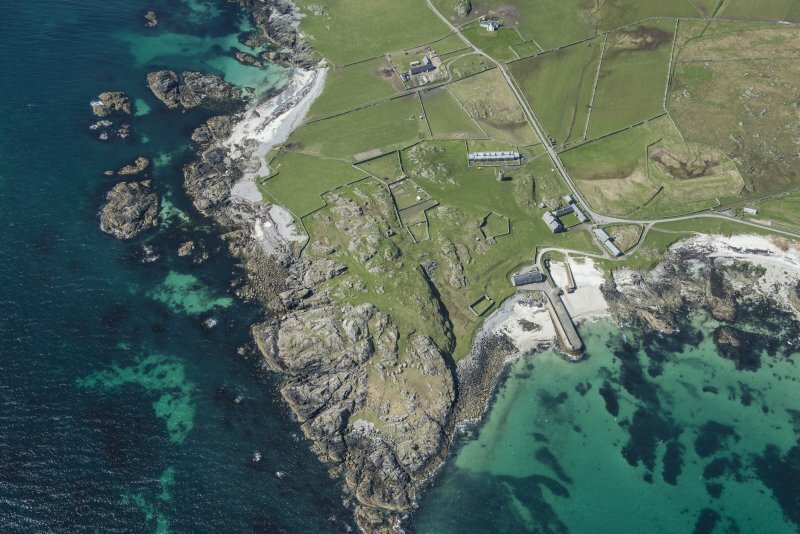 The signal-tower has been refurbished as a museum, with details of the building of Skerryvore and of the method of communication by semaphore signals, seen through telescopes, between the tower at Hynish and the lighthouse. 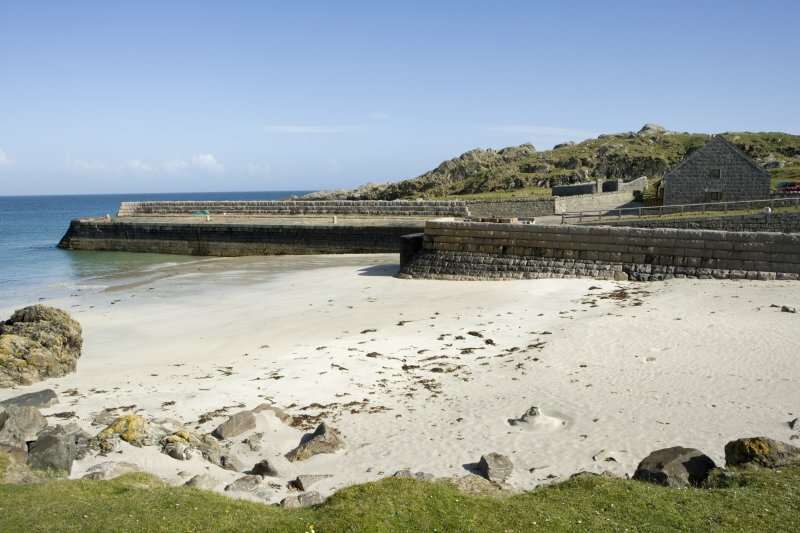 An unexpected problem at Hynish harbour was that it was liable to silting, and Stevenson devised an ingenious method of scouring out the dock. 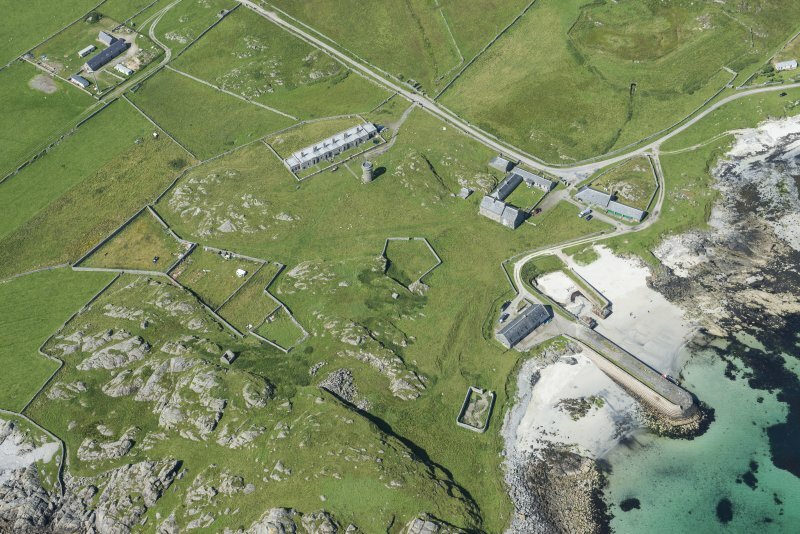 Up to a million gallons of water could be collected in a reservoir above the site, which could be let out through a conduit in a controlled flood to clear the harbour basin and channel of accumulated sand.